Availability: This item is made to order. Please allow 2 weeks. Made to fit a 10" x 20" filter size. 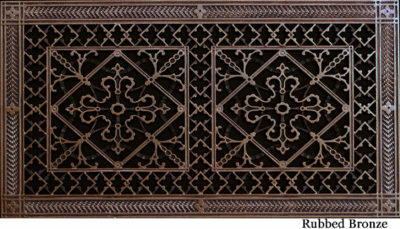 Frame Size: 16-1/4" x 26-1/4"
Availability: This item is made to order. Please allow 2 weeks. Made to fit: 12" x 20" filter size Frame Size: 18-1/4" x 26-1/4"
Availability: This item is made to order. Please allow 2-3 weeks. Made to fit a: 14" x 20" filter Frame Size: 20-1/4" x 26-1/4"
Availability: This item is made to order. Please allow 2-3 weeks. Made to fit a : 16" x 20" filter Frame Size: 22-1/4" x 26-1/4"
Availability: This item is made to order. Please allow 2-3 weeks. Made to fit a: 20" x 20" filter Frame Size: 25-3/4" x 25-3/4"
Made to fit a 12" x 20" filter. Total size: 18-1/4" x 26-1/4"
This item is made to order. Please allow 3 weeks. Made to fit a 20″ x 20″ filter. Availability: This item is made to order. Please allow 2-3 weeks. Too Many Emails? Not Ours. We only send you important promotions and new product announcements. By signing up you agree to receive Beaux-Arts Classic Products offers and promotions. You my unsubscribe at any time.